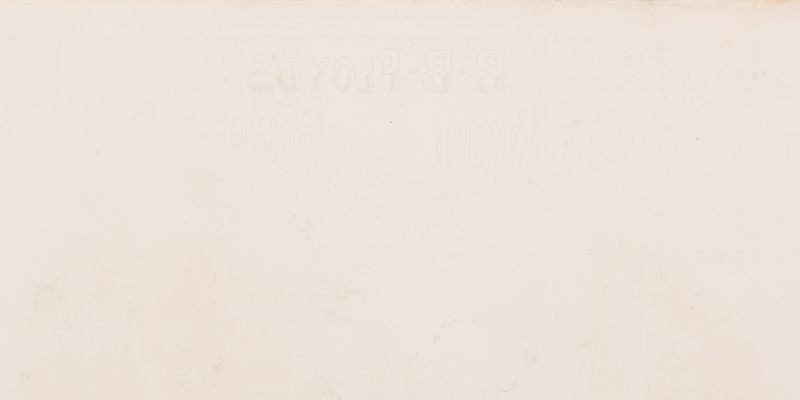 Chromolithographic promotional poster titled "B.B. 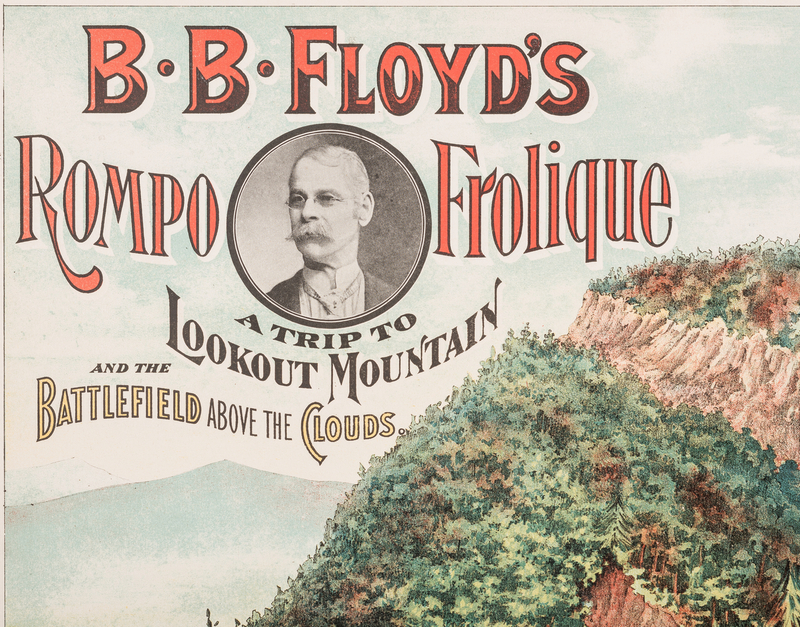 Floyd's Rompo Frolique A Trip to Lookout Mountain and the Battlefield Above the Clouds", lithographed and published by Brueckner and Kessler Company, Philadelphia. 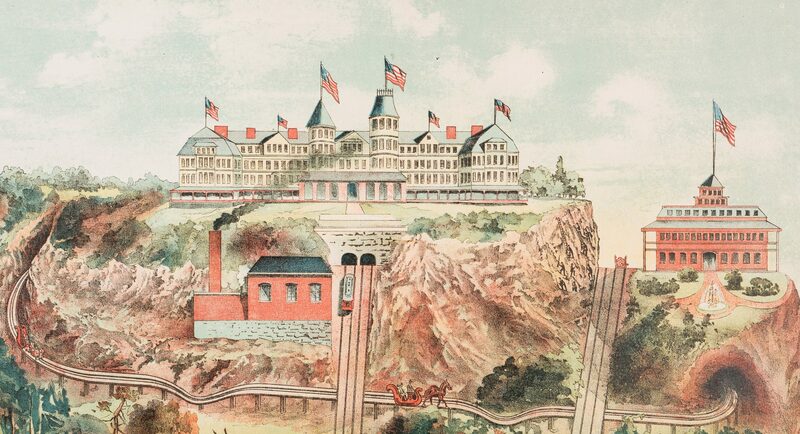 Depicts Lookout Mountain, site of the Battle of Lookout Mountain, November 24, 1863, and the "Rompo Frolique" or "roller toboggan", an invention of Byron B. Floyd, that was proposed to be built in the area as a major attraction. 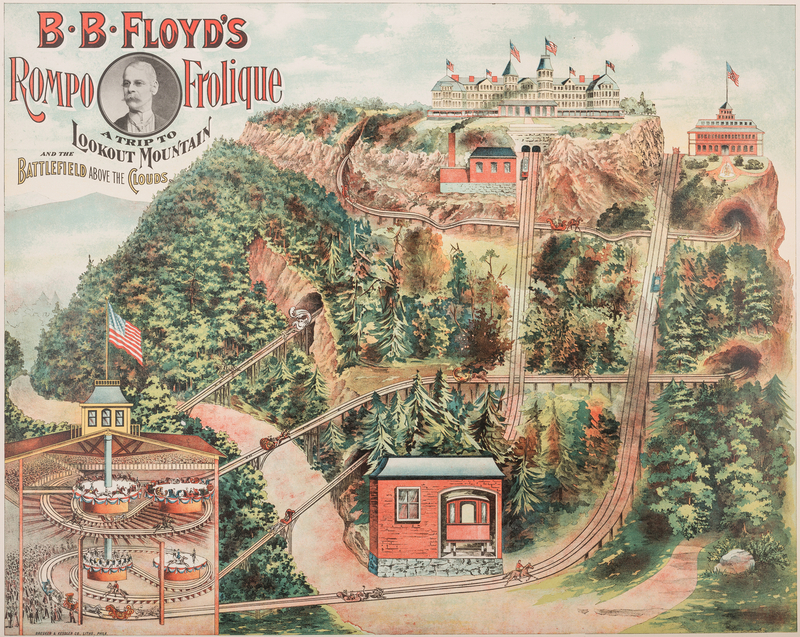 Floyd's portrait, surrounded by the title, top left. 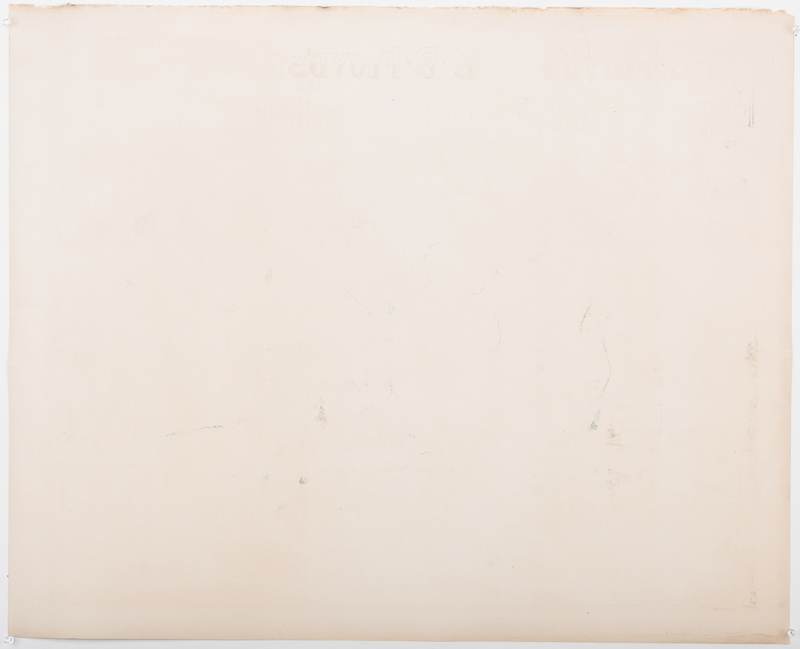 Image – 23" H x 29" W. Sheet – 25 1/2" H x 31 1/2" W. Late 19th century. Note: "B.B. 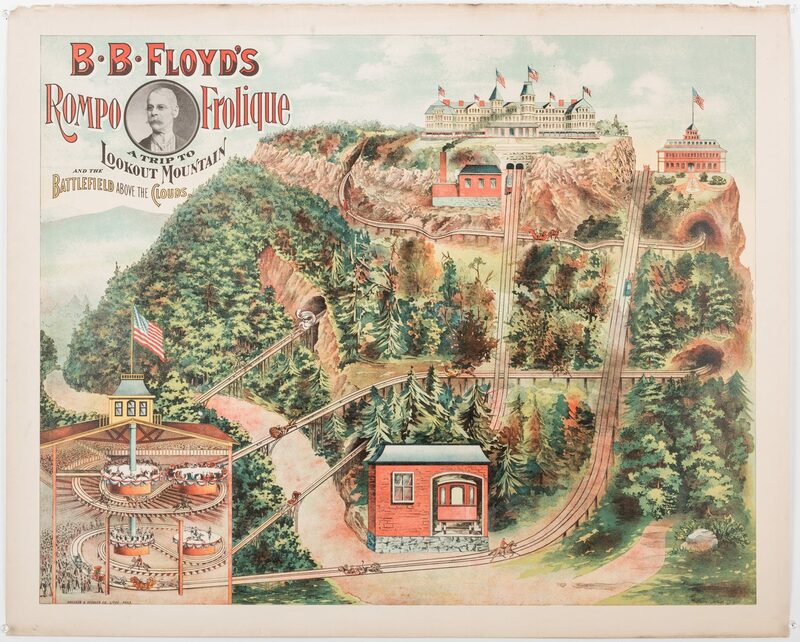 Floyd, outside of a few important patents, will probably be remembered for a ride that was never built…The name "Rompo Frolique" has been used for several minor rides but not a trace of this clanking apparatus has been found". 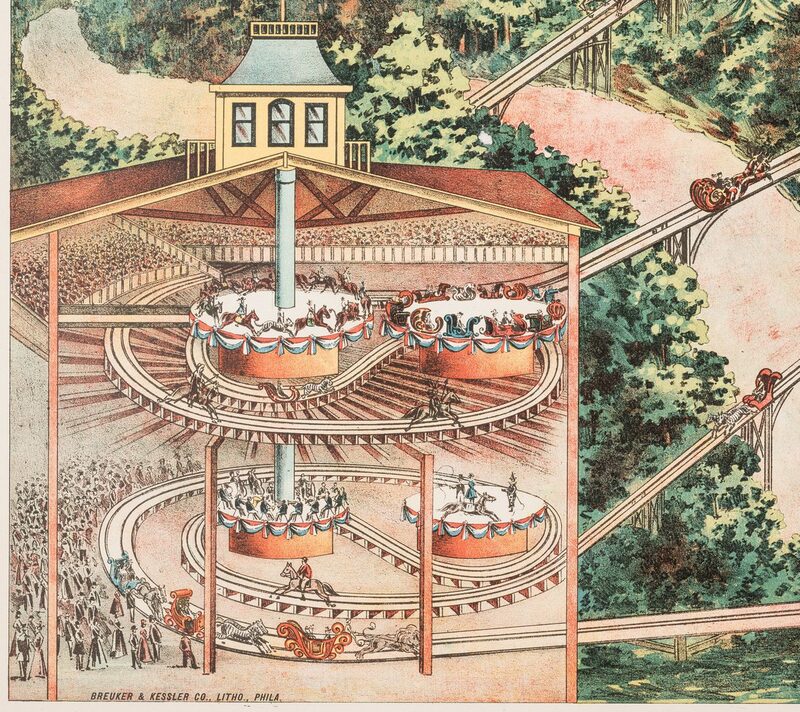 (Information according to "The Incredible Scream Machine: A History of the Roller Coaster" by Robert Cartmell). CONDITION: Overall very good condition.  Toning, edges of sheet. Series of tears, largest 1/4", across top edge of sheet. 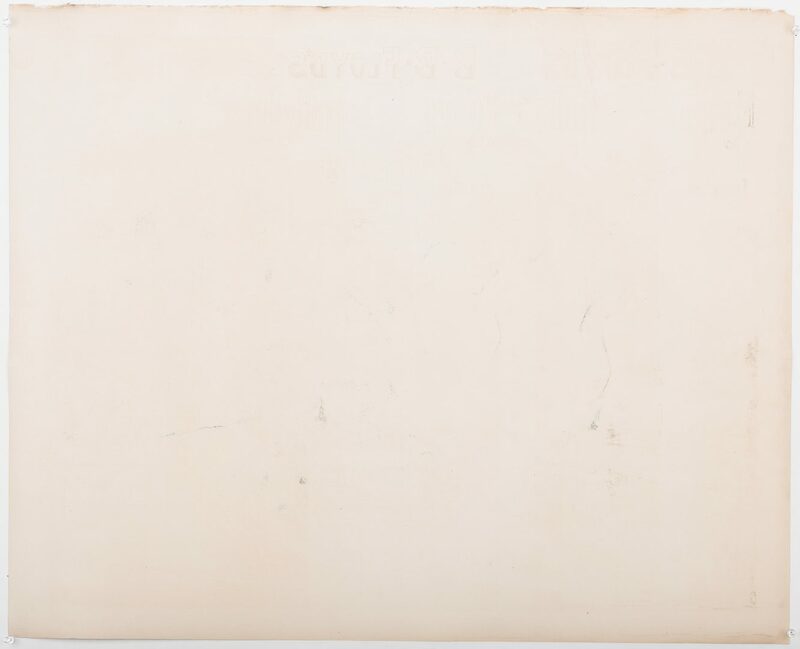 Scuffs, largest 4", en verso.